There are lots of great spaces throughout the Telluride Arts District that accept proposals to exhibit work, including local cafes, the library, and galleries. See our list below. All work is for sale during the exhibit through the Ah Haa School for the Arts. Ah Haa handles promotion, insurance, taxes, fees and shipping of sold pieces. Please note: revenue from artwork sales is split 60-40% between the artist and Ah Haa. Artists Responsibilities will be detailed in the contract issued at time of agreement. If you have an idea for an exhibition or would like to propose your work for a solo show, please contact Kris Kwasniewski at kris@ahhaa.org. The Telluride Art + Architecture Weekend, taking place annually the third weekend of July, is the ultimate home tour for the connoisseur. Guests linger at each venue for an intimate peek into the work of our local architects, designers, artists, and chefs who provide home tours, art exhibits, performances, and food and wine tastings at each stop on the tour. Artists of all kinds are invited to participate—fine artists, filmmakers, performers, musicians, chefs, designers, architects, and more. Gallery 81435 is a vibrant contemporary art space in the heart of town. The large, open, light-filled gallery lends itself to very contemporary work, and more high-end exhibits. Exhibits generally run for one month. Fill out out online EXHIBIT PROPOSAL FORM if you are interested in showing your work here. To inquire about exhibiting during the Telluride Mountainfilm Gallery Walk (the Friday before Memorial Day every year), please email programming@mountainfilm.org. The official Mountainfilm party gets underway with a round of receptions at different galleries around town. The art is outstanding, and the drinks and hors d’oeuvres are free. If you get waylaid by old friends, or mesmerized by the art, and can’t make the whole circuit, don’t despair—the exhibitions of paintings, drawings and photography will all be up throughout the weekend. The Gallery Walk is free and open to the public. Join Telluride Arts at their newest location for contemporary art, fine jewelry, and community at 135 West Pacific Avenue in Telluride, right across from the Library. The Library exhibits are the most community driven and receive high traffic throughout the day. There are four exhibit spaces at the Wilkinson Public Library. Shows open during Art Walk months and hang for 3-6 months at a time. 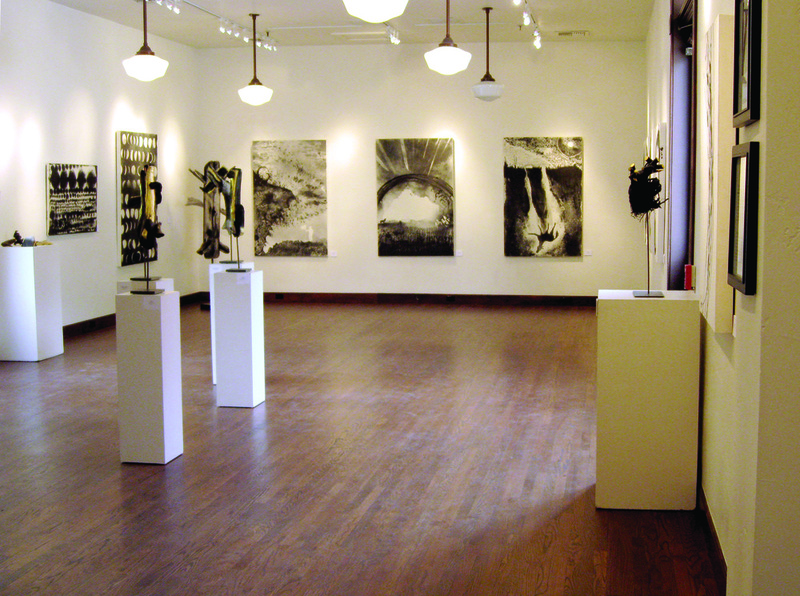 Work shown at the Library can not be priced, but sales can be directed through Telluride Arts. Hip, cozy option for housemade baked goods, sandwiches & American plates plus coffee & cocktails. Artwork lining the dining room walls is rotated monthly. Please contact Kate Kurtz at katekurtz72@gmail.com if you are interested in displaying your work. Mexican cuisine with an organic, modern focus and margaritas that are served all day in a colorful space. 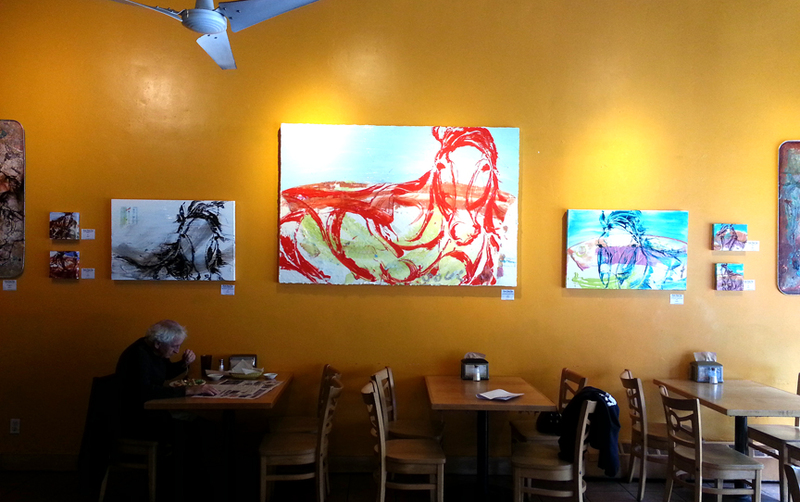 If you are interested in displaying your artwork on the walls, please contact Kellie Day at kellie@kelliedayart.com. Artists must be able to professionally hang their own show, along with having enough work to fill the space.